I have been very interested in photogravure since the early 1980’s, but never pursued it because of the absurd expense. A photographer who was not rich or at least, heavily subsidized, could not begin to consider photogravure, until just very recently. I finally started pursuing photogravure in earnest in August of 2013, after seeing a couple of youtube videos demonstrating the fact that for the first time since its inception in the late 19th century, new technology had at last placed photogravure within the financial reach of non-wealthy photographers. Two years later, I am just now beginning to offer photogravures for sale alongside my other prints. 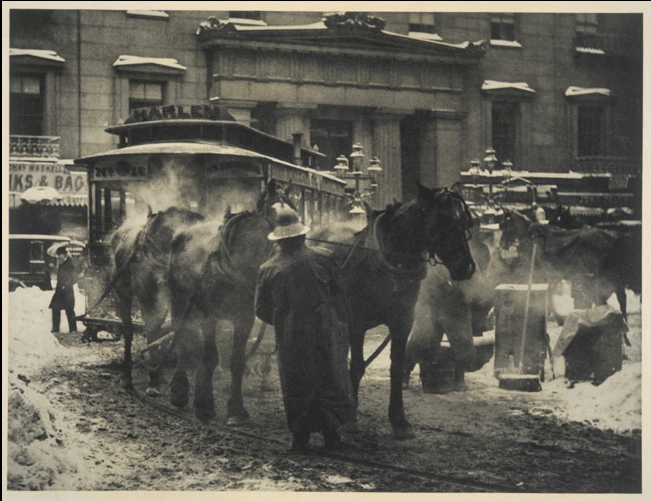 Photogravure is one of fine art photography’s big three. That is, the three nineteenth century processes still in use by artists today because without dispute, they are the most beautiful methods ever devised for making a photograph. Those methods are, the platinum print (and its similarly, iron-based siblings), the carbon print and of course, the photogravure. Today, some photographers call their inkjet prints carbon prints. This is not an attempt to mislead. They are using specialized, aftermarket ink sets made of pure carbon, which produce an extremely permanent image. They are justified in using the term carbon in labeling their prints, but the duplicate terminology is confusing and even upsetting, to some. The term rightfully belongs to the older print, especially because the two different kinds of print look nothing alike, and the newer prints are not in any way an attempt to duplicate or mimic the appearance of the old. I try to say carbon and pigment ink, or just pigment print, as a means of distinguishing my own inkjet prints and because I use a pair of color pigment inks along with my pure carbon inks, to add the brown color. Others take different approaches. In fairness to the original soot printers, a distinction should always be made. Platinum and carbon are both continuous tone processes, while surprisingly, photogravure is not. A photo-mechanical process originally intended for reproduction purposes, photogravure looks like continuous tone and has only a random dot pattern that is very difficult to detect without strong magnification. Since photogravure requires a great amount of skill, is quite laborious and can only make a single print at a time, it was a miserable failure at large scale reproduction. 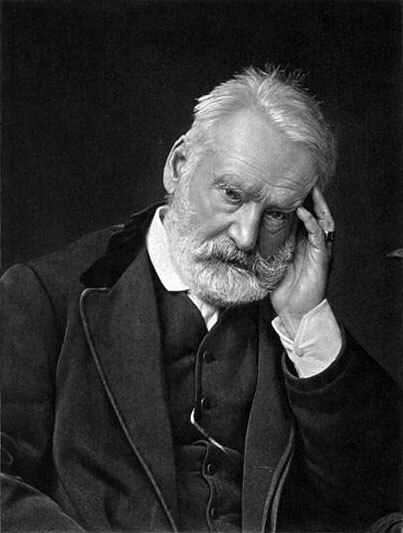 But visually, the photogravure was and is a huge success with artists and everyone in the know. 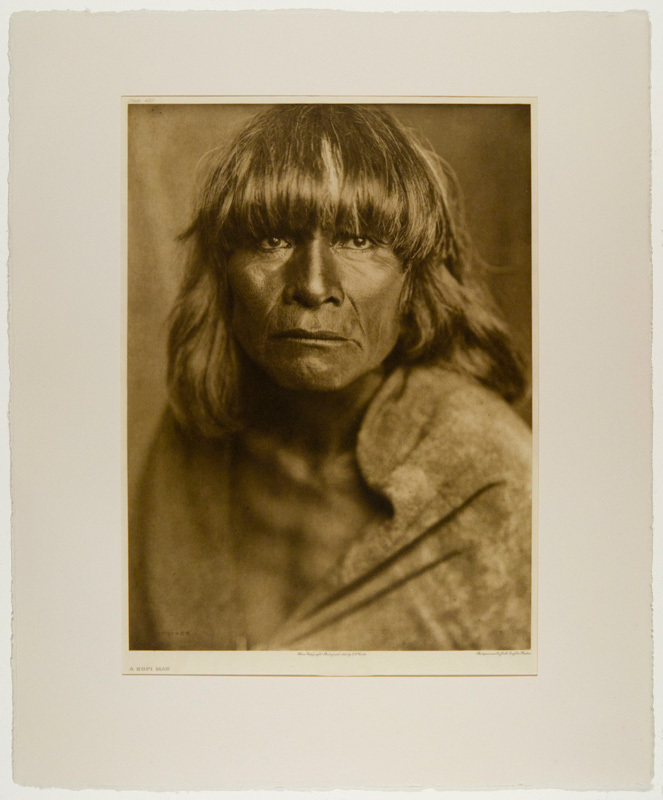 So much so, that from its inception, the photogravure is the only process of its type that is accepted by artists, galleries, museums and collectors as an original photograph and not a reproduction. In many cases, photographers have intended the final product to be a photogravure from the moment the shutter was released. 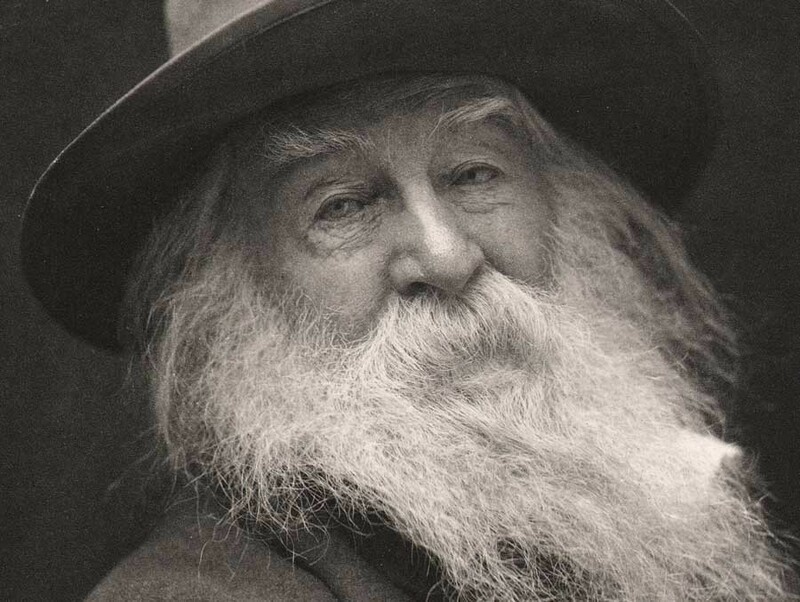 Photogravures are simply exquisite and also the most enduring images of the big three. A photogravure is made with the finest engraving inks on the finest paper, and nothing more. No chemicals, no impurities to worry about, no instability of the image. Nothing. It will outlast any other type of photograph by centuries and is exactly as permanent as any engraving, because that is what it essentially is, an engraving that looks exactly like a chemical photograph, only better. Photogravures are made by exposing a thin light sensitive material attached to a much heavier substrate, to an enlarged positive in order to make a temporary image on the thin material. A random microscopic pattern of exposure is also applied so that darker areas will retain ink during the process of wiping the plate for printing. (This pattern is nothing like that found in a newspaper image, or on a book page. It is far smaller and virtually invisible.) Without that pattern, ink in large dark areas can inadvertently be wiped out of the depressions before printing, leaving a white area where there should be a dark one. This failing is called open bite. After exposure the plate is chemically etched: treated to a corrosive agent, so that depressions can be eaten into the plate material creating wells for the ink. These wells are made possible due to the random pattern mentioned above. The darker the tone, the deeper the well. The traditional photogravure is made on a copper plate and the image applied to a light sensitive gelatin emulsion with a film positive and either a commercially made stochastic screen or a layer of fine dust, to provide the random pattern. In most cases this pattern is completely invisible because it is so small and the pressure of printing spreads the ink out just a bit, to fill in the tiny spaces in the pattern. 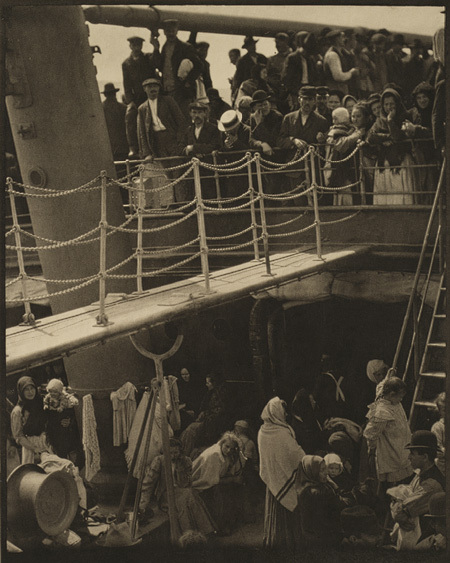 A photogravure looks like a continuous tone, chemically made photograph. Expose a polymer (gelatin is also a polymer, just a naturally occurring one) made light sensitive by the addition of a chemical and then exposed to a positive along with a random pattern screen or finely divided light-blocking substance. After exposure, process the plate (a mild corrosive, or in some cases, plain water is used) so that tiny ink-holding wells will be eaten into the polymer or the copper/steel substrate. In all cases, a plate containing millions of tiny wells of varying depths is then ready for printing. Making a plate, regardless of the method, is not a trivial pursuit. The original copper plate approach is especially difficult. Printing it is not to be taken lightly either. To print a photogravure plate it must first be inked. A thick ink is wiped across the plate with just enough pressure to push ink into the deepest wells. Then the plate is wiped because there must be ink only in the wells. The places where no wells were etched represent the whites of an image, containing little or no ink. The grays of the image are represented by varying depths of well. A starchy cloth called tarlatan is wiped across the surface of the plate with varying degrees of pressure and in various states of prior-use and ink content. The photographer starts with a ball of tarlatan already heavy with ink and uses that to remove the majority of the excess. Successively less ink-laden tarlatans are used until the photographer then switches to what is usually newspaper or phonebook pages, until all unnecessary ink has been removed. There are as many ways to do all of this as there are photographers printing in photogravure. Everyone has his own approach. Great differences in the appearance of a final print can be attained, based on the type and color of ink, and the wiping of the plate. It is all extremely versatile. Once the plate is inked and wiped it is placed on the bed of an etching press along with a piece of damp printmaking paper and this sandwich is run through the press under thousands of pounds of pressure. That pressure forces the limp, damp paper down into the the wells containing all that ink, which is pulled back out on the paper. This is how the famously rich blacks of a photogravure are accomplished. Deeper wells mean more ink and deeper blacks. Do not confuse photogravure with the many copycat methods that cropped up at around the same time. In fact, the –gravure suffix was sufficiently respected that some processes having no similarities whatsoever, were nonetheless named xyz–gravure. Even Mr. Karel Klíč, the man who perfected photogravure using what is called dust grain for the random pattern, later invented a second process employing a tubular plate that was much more effective and appropriate for mass production. He called that process roto-gravure, which led to exactly the kind of confusion and misrepresentation that you might imagine. Today, most everything being sold on eBay as photogravures, are in fact, rotogravures. 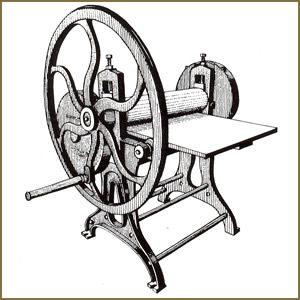 Rotogravure was a very successful process for printing photographs in magazines and books, but could not remotely hold a candle to the photogravure for image quality. It’s one and only advantage was, speed. To add to the confusion, present day scholars have suggested calling rotogravures, just gravures. Not the best idea, especially in light of the fact that gravure has been a somewhat common, if incorrect, abbreviation for photogravure for a long time. The process that I am currently using involves a photopolymer called Imagon HD. This is attached to a substrate made of PETG plastic, exposed through a positive image to a UV light source and processed in a mild alkali. The alkali etches the image into the photopolymer only, though this same material, or similar ones, will also work with a copper plate and etch into the metal, if desired. Though this provides the same look as the more traditional copper plate photogravure, the more modern plate is not as durable and therefore, while hundreds of prints can be made from a copper plate, especially if it is steel plated as is common practice, the PETG polymer plate can only produce a few dozen images. While in the printmaking industry it is customary to make as many prints as a plate will allow (this problem was turned into a feature by a smart art dealer who realized he could call the limited number of prints a plate could produce a, limited edition and charge more money to the gullible), the smaller number of prints allowed by a polymer plate better fits the way photographers work. Dozens is a far greater number than most photographers will ever need, or sell. NB: The printmaker (a person who makes all kinds of art prints, but seldom photographs) customarily makes all the prints a plate is capable of producing, at one extended sitting. Then that limited edition is offered for sale to the public. Photographers simply don’t work like that and never will. At most, a handful of prints are made, regardless of the method, and it is very likely that handful will be all the prints the photographer will ever make of that image, unless a new interpretation for the image is made at some future date. Then again, only a handful of prints will likely be made. Contrary to popular myth, fine art photographers do not “make all the prints you want” because all the prints the public wants are always a far smaller number and the photographer does not want to be stuck with dozens of prints he cannot sell. He prefers to make new work and explore new territory.